Orlando A has a 5-Star rating and leads the company in total reviews, making this pro a ReviewBuzz Rockstar! After Orlando left my home, I heard a clanking noise that came from my attic. I thought maybe the cover from the heating unit he had repaired had fallen off. When I went into my attic to investigate, I was surprised to see the cover had fallen off of the unit that was working, not the unit he repaired. I could see fresh handprints in the dust. I discovered that Orlando had tampered with my working unit by switching the on/off switch to the off position and in his hurriedness did not put the cover back on properly. Now I question his repair to my other unit and if he sabotaged or damaged it in some other way I am unaware of. I found him to be dishonest in tampering with my working unit and I now have serious concerns about whether or not his repair is safe or not for me and my family. Orlando is always professional and answers all my questions!!! Great service and serviceman actually showed up early - how often does that happen. Very happy with Cal Sir and will have them back in spring to check a/c. I had a real emergency with my AC unit. It would not turn off and the temp was 65 with no way no turn up the heat. I called CAL AIR and Orlando showed up within 30 minutes. I explained the problem and showed him the work order for the last year showing the same problem and correction with a new board. He when up on the roof to examine the AC and told me that he fixed the problem. After testing the AC unit it now is working properly. 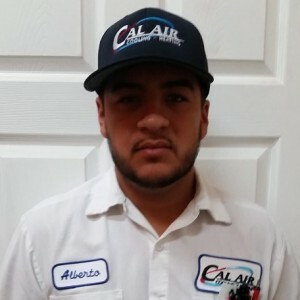 During the time Orlando was working on the AC he was very pleasant and patient. 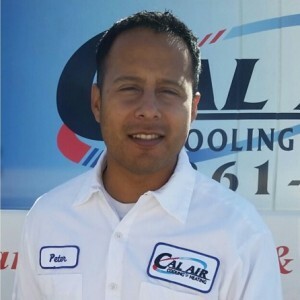 I highly recommend Cal Air for its efficient and professional HVAC maintenance service which come in a very affordable contractual price. 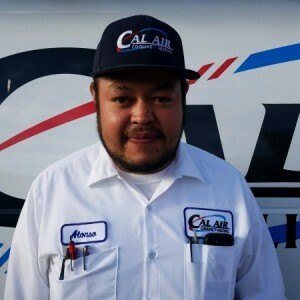 I don’t have to make a call to schedule the maintenance services as Cal Air makes it their obligation to me. 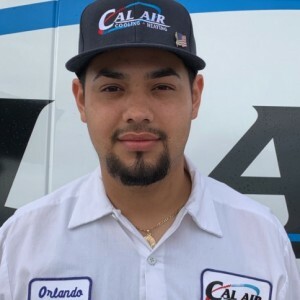 Richard H and Orlando Alcaraz, its last two crews that serviced my HVAC did a good job in maintaining my units in a very good working condition. Kudos to Cal Air. Came on time and did the maintenance. Professional and courteous. Very nice young tech. Very knowledge. Arrived a little early which left day opened up for other things. Would recommend this service.